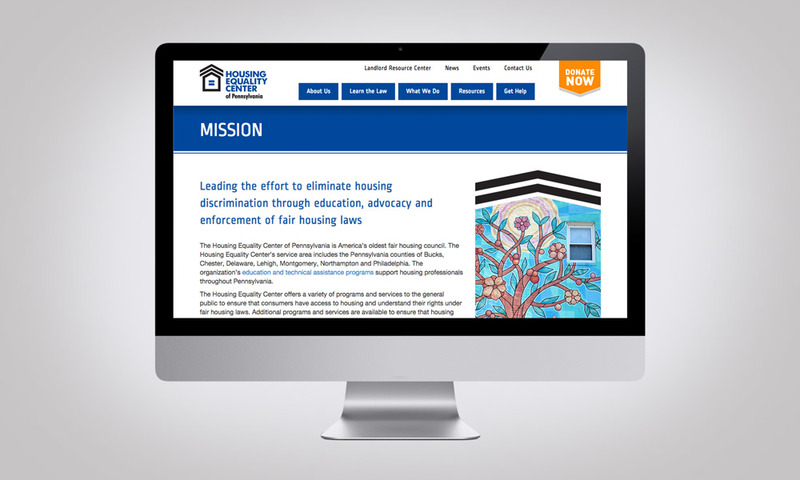 Housing Equality Center's new website. We helped write and edit the timeline content. The Housing Equality Center of Pennsylvania is America’s oldest fair housing council. The organization offers a variety of programs and services to the general public to ensure that consumers have access to housing and understand their rights under fair housing laws. The Housing Equality Center was debuting a new website, but their staff didn’t have the time to write new content. They had an outline and some old text to use as a starting point, but it needed to be supplemented, improved and organized. Our first step was to familiarize ourselves with the Housing Equality Center’s brand, paying special attention to their brand voice. We learned that the mood of their brand voice is serious, since the subject matter—housing discrimination—is serious. Another key point was to remember that the consumer portion of their audience represents a range of education levels. Therefore, the language needed to be accessible. We also familiarized ourselves with their competition and target audience, which is comprised of real estate professionals and landlords in addition to consumers. Next, we worked hand-in-hand with the Housing Equality Center’s staff to create a sitemap, to clarify what content needed to be on their new website. From there, we rewrote existing content and crafted new content for the entire site, including developing an improved mission statement and an extensive history of the organization.